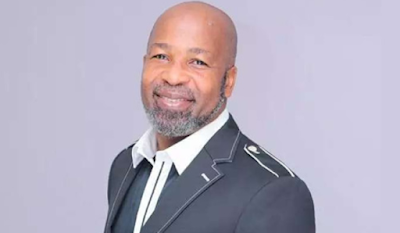 For over four decades, popular actor Yemi Solade has wormed his way into the hearts of Nigerians with his acting prowess. However, it seems the actor is fed up of Nigeria and plans on relocating to another country with his family. Solade noted that although some of his colleagues seem to do well for themselves, they may be into other things asides from acting. “I am a thoroughbred professional. I don’t know what my colleagues do, though I see most of them running after people in government. I cannot serve one or two senators who will probably give me a jeep or any other car. Anytime I want to travel, the senator takes care of my ticket also. But that is not my orientation. I don’t need to run to anyone when I have a job. There is no way anyone will tell me that an actor who drives a luxury car gets the money from acting. Inasmuch as I don’t want to go into details, we all know this. Once our profession is attractive, actors don’t need to struggle to pay their bills. I have been an actor for over four decades; so, if I ask for N2m for a role, is it too much? Wizkid and Davido only perform on stage for a few minutes and they attract millions of naira. I am happy for these young men, but it is not the case for actors who spend long hours on set. The Yoruba arm of the industry is not as lucrative as you think. For me, I just stick to the job and I depend on whatever I earn as an actor from producers. From the look of things, the few of us who started early in the industry are the ones suffering. I am happy for the likes of Odunlade Adekola, who came afterwards and they feel he is better. Since the younger people share the resources with each other, what do I do? I am not a producer and I don’t think there is anything wrong about that. Once a producer calls you and you demand a certain amount, they run away and bring in their untrained friends. The actors who are getting it right should tell us how they have been able to live very comfortable. I have people that I go to for one help or the other, but they trivialise it and I can’t be begging you because I want you to invest in a project. Once you go to them for assistance, they can ask you to link them up with one actress,” the thespian said.